As the date for the announcement of the next annual budget nears, all eyes are on the utilisation of the funds released in the ongoing fiscal year. However, three varying figures quoted by the three different provincial government departments of the utilisation of development funds for elementary and secondary education shows loopholes in the calculations. 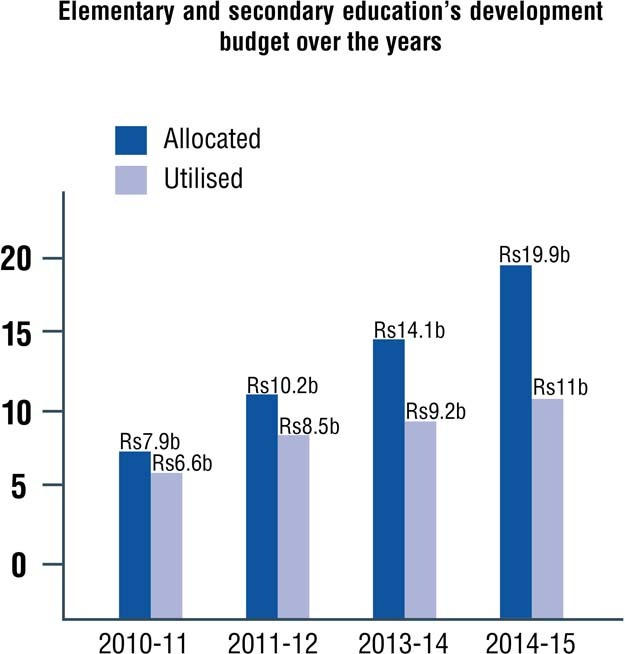 Documents available with The Express Tribune show that for FY 2014-2015, the estimated budget for elementary and secondary education was Rs73.7 billion while the development budget was Rs19.9 billion. However, documents compiled by the elementary and secondary education (E&SE) department as well as finance and planning and development (P&D) departments show startling discrepancies in the figures of the utilisation of the allocated development funds. According to the Khyber-Pakhtunkhwa Elementary and Secondary Education Department, it utilised over Rs11 billion out of the Rs19.9 billion development budget during 2014-15. At the same time, the finance department claims Rs9.3 billion has been utilised by E&SE, while the P&D Department claims most of the allocated amount was utilised – nearly 70%, around Rs13 billion. While taking to The Express Tribune, Centre for Governance and Public Accountability Programme Manager Malik Masood commended the elementary and secondary education department, saying it has used over Rs11 billion which is the highest utilisation sum ever achieved in the province’s history. Documents available with The Express Tribune of the allocations and utilisation of E&SE sector development budget in the past five years correspond with Malik’s statements. 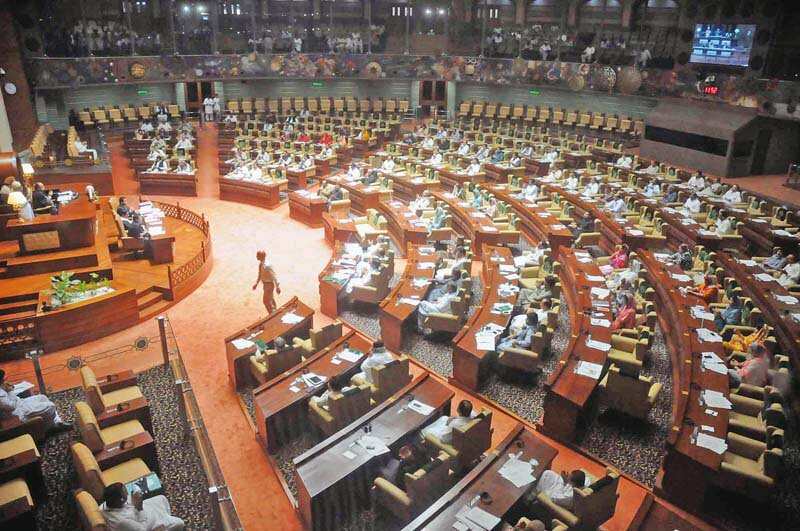 According to a copy of the previous budget documents, development budget for 2013-14 was Rs14.1 billion, of which Rs9.2 billion was used, around 65%. Similarly, in the current fiscal year 2014-15, around 55% of funds have been used, over Rs11 billion. It seems the allocation of funds directly to the Parent Teacher Councils has played a key role in the utilisation of development funds. The councils should be further strengthened with a more transparent mechanism to ensure accountability and proper utilisation of the funds directed to them. Nevertheless, E&SE Additional Secretary Qaisar Alam Khan denied that a small portion of the allocated amount has been used, saying they have utilised all of the funds. Besides spending the allocated amount, the department has also received additional funds from various sources for development projects in the sector, he added. According to Khan, in the upcoming budget the allocation for education sector will be increased by 30%. He added primary education will see a 23% increase in allocation while higher education will get 7% more. He maintained the main focus of the education department in the new budget would be on the education of girls, adding the ratio of girls and boys in schools would be made equal. Khan said the upcoming budget will clarify to all how much has been spent so far on education in the province. Published in The Express Tribune, June 11th, 2015.